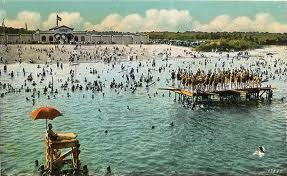 Lake Nokomis in the 20s. Well, the heat wave has broken, temps are in the 80s and the humidity is bearable. Just right for getting out after a day at the beach and enjoying the musical talent of our Twin Towns. This week we also have some visiting boomer bands and two bands from Louisiana. Then there’s the festival at Harriet Brewing, a new place to hear music. Speaking of places to hear music, the Nicollet Coffee Shop has closed, and with it, Tuesday night jazz. However, the Icehouse further down Nicollet seems well poised to present all kinds of music, with jazz late Monday nights, and during the dinner hours on Fridays and Saturdays. Lee Engele @ Landmark Center, Saint Paul. Noon (Free) The swingin’ Ms Engele will provide an hour’s worth of song, for your lunchtime listening pleasure. Illicit Sextet @ The Nomad, Minneapolis. 9pm (No Cover) Original music that recalls hard bop, bebop, and mainstream jazz. Top notch players, including Steve Kinney, trumpet; Paul Harper, tenor sax; David Roos, guitar; Chris Lomheim, piano; Tom Pieper, bass; and Nathan Norman, drums. Here’s a video of them from a couple of years back. Sophia Shorai @ The Red Stag, Minneapolis. 10pm (No Cover) A late night gig at the Red Stag featuring the charming, sweet-voiced Ms Shorai. If you aren’t familiar with her, read this Star Tribune review. sHorn hortZ (Larry McDonough Quintet) @ The Art Preserve, 1815 Radio Drive, Suite G., Woodbury. 7pm – 9pm (Free) This is a modern jazz quintet playing original compositions written by its members. Paul Peterson saxes; Jahn Hyvarinen, guitar; Larry McDonough, piano; Greg Stinson, bass; Dean White, drums. This is an Art opening presenting batiks by Nedra Nicholls and photos by Roger Williams. James Buckley & Chris Lomheim @ the Icehouse, Minneapolis – 8:30 – 10:30pm. With Buckley on bass and Lomheim on piano, this is a pairing of musicians with sensitivity and imagination. Just right for the Dinner Hour as it’s billed on the Icehouse website. I’m guessing at the hours based on previous gigs, so you may want to check. Willie August Project @ the Red Stag, Minneapolis. 10:30pm (No Cover) Led by guitarist-composer Ben Siems, this trio, which includes drummer and co-founder Jeremy Hauer, has had its melodic jazz played throughout the world and on satellite radio. TBP Organ Trio @ Icehouse, Minneapolis. 11am – 2pm. (No Cover) Here’s some music sure to wake your taste buds. Tanner Taylor, organ; James Buckley, bass; and Joey Van Phillips on drums, as a side to your brunch. Robert Bell & Maude Hixson @ Barbette, Minneapolis. 10pm. (Free) Bell recently performed as Djano Rheinhardt’s music as a guest soloist with the North Carolina Symphony. The guitarist will be accompanying the cool tones of Ms Hixson tonight. Blood, Sweat & Tears @ The Dakota, Minneapolis. 7pm ($60-$50), 9pm ($50-$40) Though there are no longer any original members in the band, co-founder Bobby Colomby continues to guide this horn-driven aggregation, which seems to have been a stopping off gig for hundreds of musicians. Judging by recent performances captured on video, the band is still a tight, precise unit. Hard to tell who the vocalist is these day, but rest assured, he will have a similar range and sound to David Clayton-Thomas. 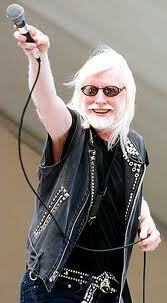 Edgar Winter @ Famous Dave’s, Uptown Minneapolis. 8pm ($30) More boomer music, this time from vocalist/pianist and saxophone player Winter, who hit with Free Ride the instrumental Frankenstein back in the 70s. Before that he had a horn band called White Trash that was hip enough to have liner notes by Patti Smith. Still has lots of firepower in his voice. Hipshaker Rare Funk n’ Soul Dance Party @ The Kitty Kat Club, Minneapolis. 9pm (no cover) The dance floor is filled with twenty and thirty-somethings (and the occasional Rock n’ Roll elder) shaking it to funk and soul 45s that generally were released before they were born. I’ll be a guest deejay. 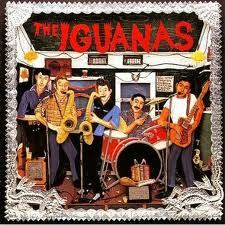 Iguanas @ The Turf Club, Saint Paul. 9pm ($15) A rare chance to see this New Orleans party band mixi it up with both second line and Latin rhythms. The resulting music will have you shakin, bakin, and movin’ with delight. Maurice Jaycox Trio @ Manitou Station, White Bear Lake. 9pm (No cover) It may seem like a ways to go (it’s 15 minutes from downtown Saint Paul), but if you choose to make the trip you’ll be rewarded with some of the best singing in town. Plus, there’s a small dance floor, which will undoubtedly be filled as Maurice and his mates sing R&B and maybe a few standards for those who want to slow dance. Jeff Ray & Hurricane Harold @ The Saint Paul Farmer’s Market, Saint Paul. 9am – Noon. Down home originals and blues standards performed by harpmeister Harold and acoustic guitar wizard Ray. 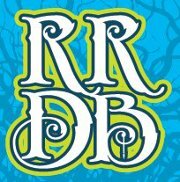 Roots, Rock, & Deep Blues Festival @ Harriet Brewing, Minneapolis. Noon – 9pm ($15) Thirty, count em, thirty bands on three stages including Charlie Parr, Sans Souci Quartet, Nick The Feeling’, the Goondas, Poverty Hash, Grant Hart, Kent Burnside, Davina, The Cactus Blossoms, Brass Kings, and The Ditch Lilies. Whew! Woody Guthrie’s 100th Birthday w/Pop Wagner, Tony Glover, Charile Maguire @ The Dakota, Minneapolis. 7pm, 9pm ($15) Though all three are residents of the Twin Cities, you’d be hard pressed to find better interpreters of Guthrie’s music without going to the man’s bloodline. Scream Blue Murmur @ The Nomad, Minneapolis. 9pm ($10) You may have seen this Belfast/Minnesota group at the Fringe Festival over the years, delivering a combination of music/spoken word and dance. They’ve since added bass, brass, and beats to their arsenal, for a more musically-oriented experience, though one that still comments on issues of the day. Terrence Simien & the Zydeco Experience @ the Dakota, Minneapolis. 7pm ($20) Grammy winning, infectious zydeco (is there any other kind?) from Simien and crew. This entry was posted on Wednesday, July 11th, 2012 at 12:35 am and is filed under Weekly Preview. You can follow any responses to this entry through the RSS 2.0 feed. You can leave a response, or trackback from your own site.